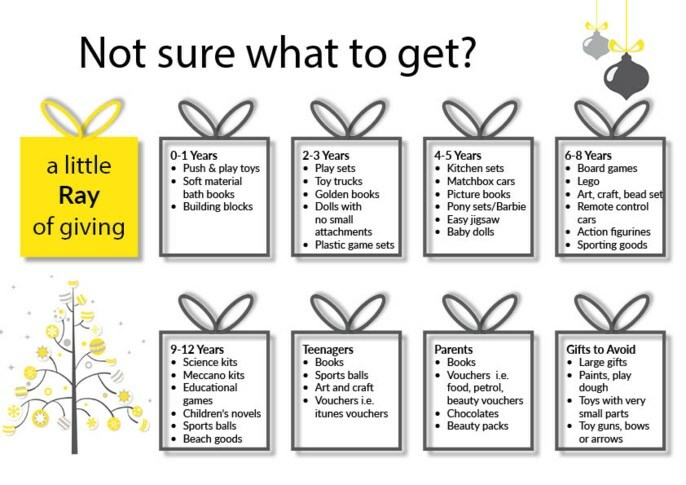 A little Ray of giving is an event hosted by Ray White nationwide in conjunction with the Ronald McDonald House Charity where offices all over the country gather presents for kids who are suffering illnesses and can’t be at home for Christmas. We will be collecting presents or monetary donations from the 1st of December 2017 until the 15th of December 2017. We will deliver these gifts to children who need them. If you are unable to donate gifts, you are more than welcome to come down to the office and wrap presents to place under the tree. If you have any questions, please do not hesitate to contact us on 09 439 7575, or complete the form below.